March 2014 saw housing prices across China's major cities increased for a 22nd consecutive month. Dongguan of China’s Guangdong Province led last month's fastest growers with a 2.29 percent month-on-month rise. According to the China Index Academy, a Beijing-based real estate research institute, the average price of new homes across 100 major Chinese cities stood at 11,002 yuan (US$1,767.45) per square meter in March, up 0.38 percent from the previous month. Their median price reached 7,275 yuan (US$1,168.72) per square meter, a rise of 0.55 percent. Among the 100 cities, a total of 63 witnessed an increase in monthly housing prices. The growth rates of the top 10 cities are now between 1.04 to 2.29 percent. 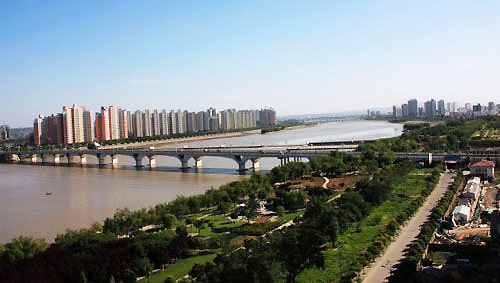 However, Shantou, yet another city in Guangdong Province, witnessed the biggest decline in new home prices in March, down by 2.98 percent to 8,676 yuan (US$1,395.08) per square meter. Now then, let's get the lowdown on the top 10 Chinese cities where home prices experienced the highest rises in March of 2014. Housing prices in China continued their upward rise throughout the month of March, though there was no significantly sharp increase.